We can help you convert your data. from all agencies for all your projects? "Permit Tracker is easy to learn and use. You don't have to fumble through a filing cabinet looking for permit expiration dates." Click below to explore PT HQ live! "To develop a similar system in-house would be very time-consuming and probably never reach the level of Permit Tracker." "I don't let permits fall through the cracks and expire, which saves a bunch of money. I don't know how anyone who deals with permits can do without it." 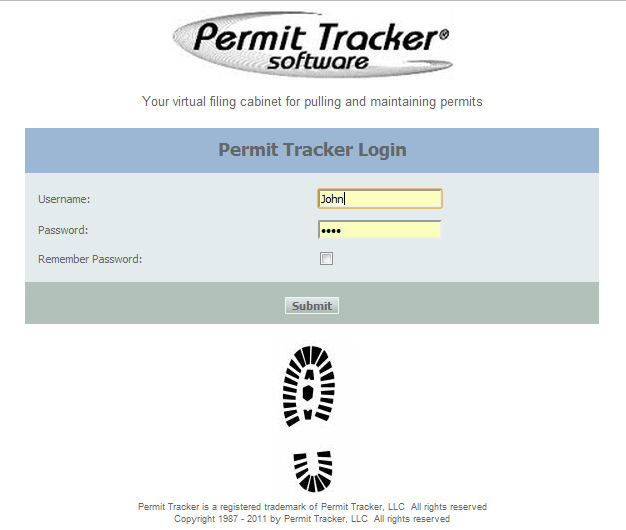 Permit Tracker is a Registered Trademark of Permit Tracker, LLC. All rights reserved. Copyright 1987-2017 by Permit Tracker, LLC. All rights reserved.